In the 80’s, Nintendo decided to make arcade consoles out of their games. As a result, they invented the PlayChoice-10, which is basically an arcade cabinet that plays modified Nintendo games. Since arcade systems used RGB monitors, they had to add a custom chip to the PlayChoice-10 game board (arcades have full motherboards to drive each game, not cartridges) to output RGB video. This chip is called the “PPU”, or Picture Processing Unit. 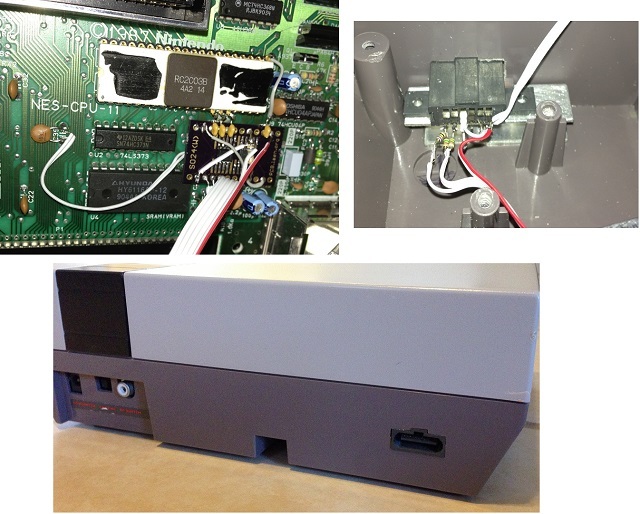 People have discovered that you can remove those PPU’s from a PlayChoice-10 board and integrate them into a NES. You can find those boards (or just the PPU’s themselves) on eBay ranging from $100 to $300. – Desolder the NES PPU – The Hardest part. – Install PC-10 PPU in its place. – Build a circuit to drive the PPU. – Build an output port. – Hope you don’t mess up and burn out the chip you just spent a lot of money on.